Parsettensite: Mineral information, data and localities. Named in 1923 by Johann Jakob after the type locality, Alp Parsettens. May be visually similar to ganophyllite and bementite. No value is given in the original description. A value of ~1.5 is given in the Handbook of Mineralogy, but seems very doubtful (too low). Range given here is based on some uncertain references and by comparison with stilpnomelane (Fe analogue). Single flakes are rather brittle. Federal Institute of Technology, Zurich, Switzerland, 194806. Harvard University, Cambridge, Massachusetts, USA, 90497. Jakob, J. (1923) Vier Mangansilikate aus dem Val d'Err (Kt. Graubünden). 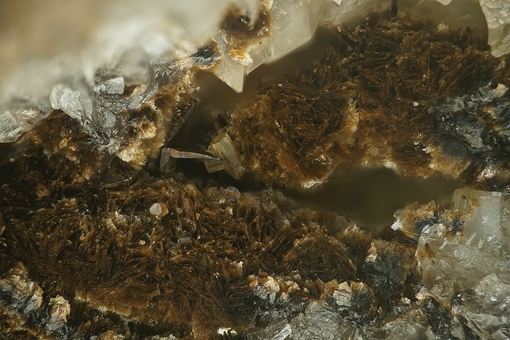 Schweizerische Mineralogische und Petrographische Mitteilungen: 3: 227-237. Neotocite 5 photos of Parsettensite associated with Neotocite on mindat.org. Tinzenite 2 photos of Parsettensite associated with Tinzenite on mindat.org. Fluorapatite 2 photos of Parsettensite associated with Fluorapatite on mindat.org. Braunite 1 photo of Parsettensite associated with Braunite on mindat.org. Rhodonite 1 photo of Parsettensite associated with Rhodonite on mindat.org. Quartz 1 photo of Parsettensite associated with Quartz on mindat.org. Geiger, T. (1948) Manganerze in den Radiolariten Graubündens. Beiträge zur Geologie der Schweiz: 27: 37-42 (in German). Eggleton, R.A., Guggenheim, S. (1994) The use of electron optical methods to determine the crystal structure of a modulated phyllosilicate: parsettensite. American Mineralogist: 79: 426-437. Guggenheim, S., Eggleton, R.A. (1994) A comparison of the structures and geometric stabilities of stilpnomelane and parsettensite: a distance least-squares (DLS) study. American Mineralogist: 79: 438-442. Brusnitsyn, A.I., Starikova, E.V., Krivovichev, S.V., Chukanov, N.V. (1999) Ba-bearing parsettensite from Kyzil-Tash Mn ore deposit (the South Urals). Zapiski Vserossiiskogo Mineralogicheskogo Obshchestva: 128: 79-90 (in Russian). 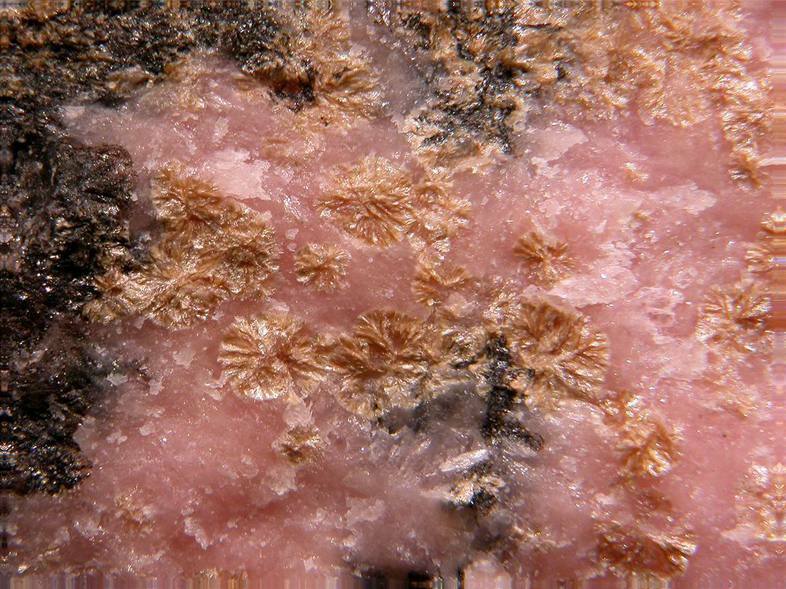 Canadian Mineralogist 38: 1125-1136 (2000); Marcoux, E., Milesi, J. P., Sohearto, S., & Rinawan, R. (1993). Noteworthy mineralogy of the Au-Ag-Sn-W (Bi) epithermal ore deposit of Cirotan, West Java, Indonesia. The Canadian Mineralogist, 31(3), 727-744. Sanero E. (1936); Ricerche chimiche sulla tinzenite e parsettensite della miniera di Cassagna (Liguria). Periodico di Mineralogia - Roma pp. 123-132. Minerals Unlimited label from 1950s; Alfredo Petrov and Joseph Vajdak collections. Sameshima, T., Kawachi, Y. 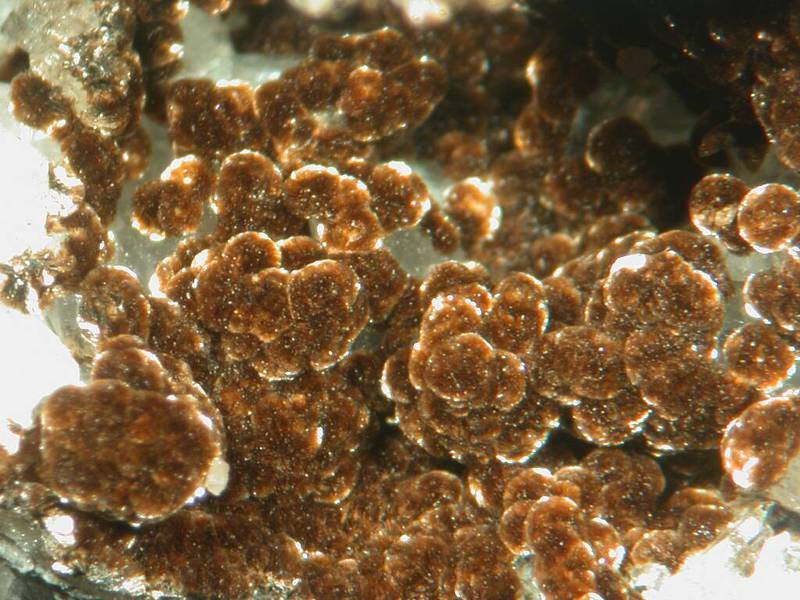 (1991) Coombsite, Mn analogue of zussmanite, and associated Mn-silicates, parsettensite and caryopilite, from southeast Otago, New Zealand. New Zealand Journal of Geology and Geophysics, 34:3, 329-335. 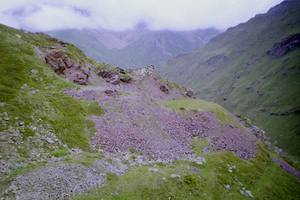 Brusnitsyn, A. I.; Starikova, E. V.; Krivovichev, S. V.; Chukanov, N. V. (1999): Ba-bearing parsettensite from Kyzil-Tash Mn ore deposit (the South Urals). Zapiski Vserossiiskogo Mineralogicheskogo Obshchestva 128, 79-90 (in Russian). Stalder, H. A., Wagner, A., Graeser, S. and Stuker, P. (1998): "Mineralienlexikon der Schweiz", Wepf (Basel), p. 298. Identical to parsettensite samples present in the Foote mine, a nearby lithium-rich intrusion. LCA mineral compared to specimens from the Foote mine, obtained from dealer, and by comparison to excellent photos of Foote parsettensite shown on Mindat.